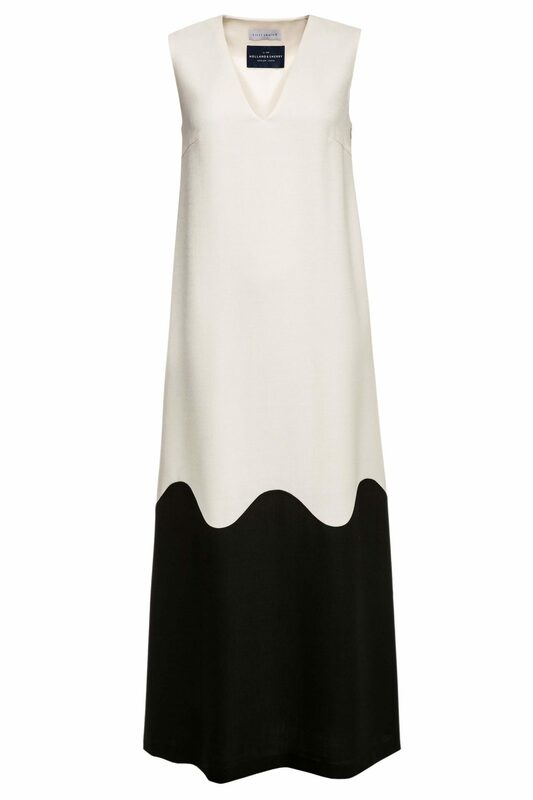 The Ida maxi dress is cut from panels of black and white wool mesh, and features a flattering V-neckline. 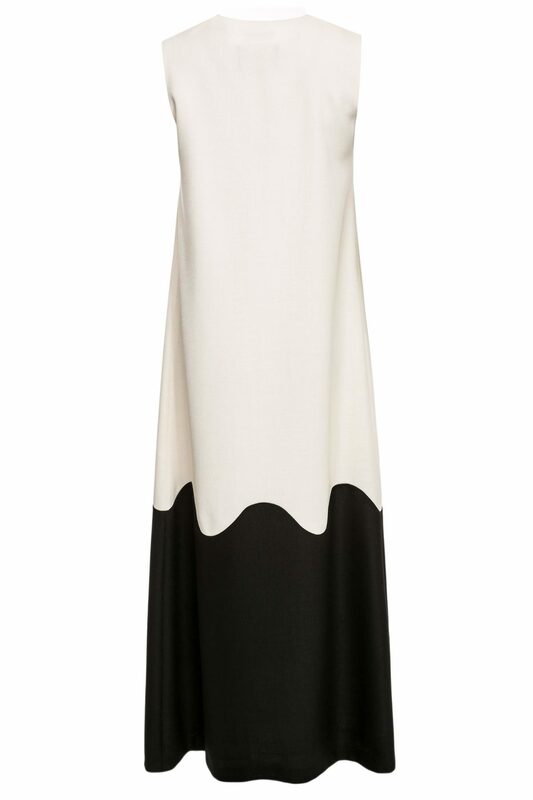 Fitted at the shoulders, it flares out to an A-line silhouette. Styling tip: Take your styling cues from the lookbook and pair it with statement earrings for the full effect.